How do you engage children to take care of their health? 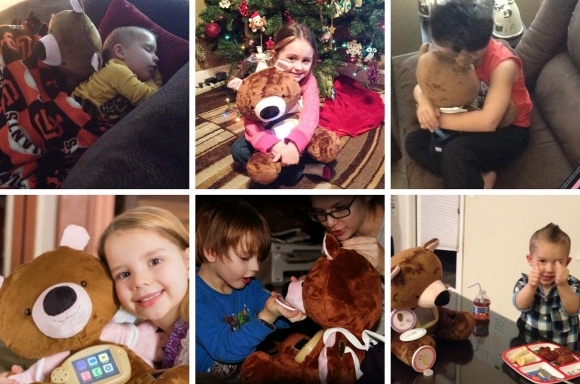 Jerry the Bear — an interactive toy that teaches children how to manage their type 1 diabetes — has done just that for children with type 1 diabetes. Aaron Horovitz, the creator of Jerry the Bear and CEO of Sproutel, drew from his experience in mechanical engineering and mechatronics. His goal is to create robotic therapy tools for health. Horovitz is a Dell Social Innovation Fellow and National Board Advisor to Design for America. 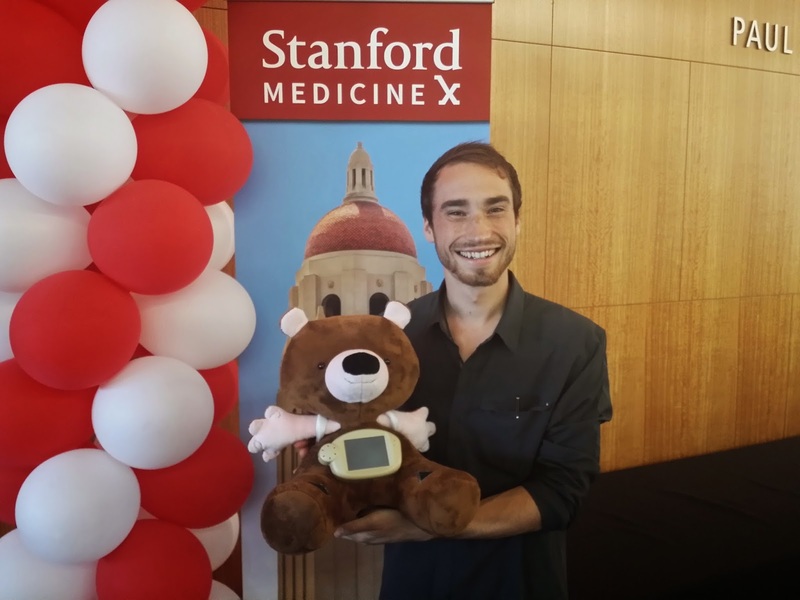 iMedicalApps caught up with Horovitz at this year’s Stanford Medicine X conference. How did you do with the IndieGoGo campaign so far? We met our funding goal to do another production run of bears. For every additional [amount] we raise, it all goes towards donating more bears to kids in the upcoming year. We wanted to really do this because we realized a lot of people don’t necessarily have a child with type 1 diabetes, but we have a lot of people who care. We wanted to leverage the goodwill in the community to do what we’re passionate about. What inspired you to create such an amazing tool? When I was a kid, I had human growth hormone deficiency. I had injections every day for five years of my life. I never really realized it, but it had a profound impact. It wasn’t until I worked on Jerry, that I filled out a grant application…that forced me to articulate it. When a friend proofread this, [that] was the first time I told someone in my whole life about what I faced since I was eight years old. So in a way, this is giving me back to myself when I was a kid. These kids [with type 1 diabetes] — they have to have injections their whole life, with every meal. The key insight [that led to us creating Jerry] is [during our research,] we went inside families’ homes and [noticed] kids would take care of their animals as if they had diabetes. They would prick their fingers, and [give] their insulin. So we asked ourselves: can we [capture] this experience and make this educational? It sounds like it helps normalize the experience, and makes it easier for children to emotionally engage with this condition. That’s amazing. What’s the next step for you? We’ll continue improving Jerry, and move forward to get a bear to every single child diagnosed with type 1 diabetes. That’s a very admirable goal, but it sounds hard to reach. There are 12,000 kids diagnosed each year [with type 1 diabetes]. We are able to reach only 200 of them now. The goal is to make more to give more to make 12,000 bears. We’re going to try to reach all 12,000 kids. That’s the mission of the company! That’s amazing. Well, what’s next in store for you and your company, Sproutel? We’re taking what we learned in Jerry, and developing the next product. It leverages the same technology and make something that will impact many more people. It’s a bit under wraps! You mentioned that the biggest spike in donations came from our readers after our editor wrote about your campaign. How can our other readers help out? To help, they can go to our Indiegogo campaign, make a contribution, or, better yet, tell their friends.